Available Size: 8" x 10", 8" x 8", 6" x 8"
Being renowned enterprises in this industry, offering an optimum quality assortment of Tiles Photo Frame to our customers. These products are made using finest quality components. 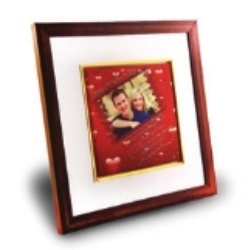 In order to meet excellent quality standards, we are supplying Tiles Photo Frame.